Since the company was founded, Michelin's mission has been to contribute to progress in the mobility of goods and people and beyond this, to the development of society. Michelin's broader goal is to satisfy the fundamental human need to socialise, exchange and discover. Michelin is committed to conducting every aspect of it's business in a responsible manner. This includes delivering increasingly efficient solutions to meet expectations and aspirations of customers and shareholders. It means respecting the natural environment while achieving economically sound operations. Launched in January 2017 in 15- to 18-inch tyre sizes, Michelin CrossClimate+ fitments expand on the range's unique status as a summer tyre with winter capabilities by offering excellent traction on snow-covered roads, from the first mile to the last – with little difference in performance as the tyre tread wears down. A unique tread that features open shoulders and widely spaced blocks (like SUV tyres) to improve traction in the snow. MICHELIN Stabiligrip technology 16% sipes(1) provide a claw-like effect on snow. Thanks to MICHELIN "Durable Contact Patch" technology, which puts 27% more rubber(1) on the road, and the tread's more wearresistant compounds, the MICHELIN Agilis Alpin lasts even longer. (1) Compared to the previous-generation tyre. Internal test 2007 on 195/65 R 16 104 Q. (1)On average, compared to its predecessor. Braking from 50 km/h to 0 on snow and ice. Tests carried out by TÜV Süd in 2012 on 235/65 R 17 H.
(2)On average, compared to its predecessor. Tests carried out by TÜV Süd in 2012 on 235/65 R 17 H.
(3)On average, compared to its predecessor (handling on wet roads, lateral grip on wet, snowy and icy roads). Tests carried out by TÜV Süd in 2012 on 235/65 R 17 H.
(4)Up to 74% more compared to the previous generation. (5)Up to 135% more compared to the previous generation. * in comparison with previous generation, MICHELIN Pilot Sport Cup+. Internal tests 2013. Ranked No 1 for braking on dry surfaces and excellent on wet surfaces, the new Michelin Pilot Sport4S is engineered for superior safety and performance. Thanks to its Dynamic Response technology andultra-reactive tread pattern, it delivers revolutionary steering control and instantaneous responsiveness. Acclaimed by most performance car makers, it's for those who love driving. Arm yourself for every weather condition. With one set of tyres all year long. All-weather MICHELIN CrossClimate tyres mix the best of summer and winter tyre technology. With an intelligent use of compounds, unique V-Shaped tread pattern and higher performing sipes. As its name suggests, this is a summer tyre that is capable of delivering an equally impressive performance in winter conditions. It's also the first summer tyre with winter certification with a winter performance so good, that it's gained the three-peak mountain snowflake mark. … and with MICHELIN Total performance, more performances brought together. *Compared to its predecessor, MICHELIN Latitude Sport, TÜV SÜD test 2013 on wet road (235/65 R 17). MICHELIN Latitude Sport 3 has an "A" rating for wet grip in the majority of its sizes. MICHELIN LATITUDE Alpin HP is certified for the Mercedes GL, M, R-Class. * MICHELIN LATITUDE Alpin HP is certified for the Mercedes GL, M, R-Class. *** WRC = FIA World Rally Championship." (4)Up to 40% more compared to the previous generation. (5)Up to 75% more compared to the previous generation. **Compared to its predecessor, MICHELIN Alpin 4 for size 205/55 R 16. A reinforced construction using two casing plies enables the use of higher inflation pressures. A tread pattern with 30%* more sipes and 20%* more grooves, combined with a rubber compound capable of operating over a wide temperature range, provides sufficient grip for occasional use in difficult conditions. * Compared with MICHELIN Agilis.The tyre pressures given are purely indicative. Please refer to your vehicle manufacturer for recommended tyre pressures. These are sometimes found on a sticker on the inside of the front door or fuel filler cap of your vehicle. The documents and information contained on www.michelin.co.uk are supplied 'as is' and without expressed or implied guarantee. Michelin reserves the right to modify or alter the content on this site without prior notice. (1) Estimate of average savings with MICHELIN Agilis+ compared to its predecessor, for diesel vehicles, calculated over a distance of 70,000 km and based on rolling resistance tests carried out by TÜV SÜD in 2012 (on 195/65 R 16C 104/102 R). (2) On average, compared with its predecessor. Wet braking test by TÜV Süd 2012 on 195/65 16C 104/102 R (60-20 km/h). (1) Estimate of savings with Michelin ENERGYTM Saver+ compared to its predecessor, for petrol vehicles, based on rolling resistance tests carried out by TÜV Süd in 2012 (on 175/65 R 14 T and 195/65 R 15 H) and calculated over the average life span for MICHELIN tyres (i.e 45 000 km - 2012 internal survey). (2) Compared to its predecessor, 16" sizes, 205mm section width and over. In 1889 two brothers, André and Edouard Michelin, embarked on a great human and industrial odyssey to develop modern transport solutions – the key to freedom and economic development – through ceaseless innovation. One day, a cyclist whose pneumatic tyre needed repair turned up at the factory. The tyre was glued to the rim, and it took over three hours to remove and repair the tire, which then needed to be left overnight to dry. The next day, Édouard Michelin took the repaired bicycle into the factory yard to test. After only a few hundred metres, the tyre failed. Édouard and his brother worked on creating their own version, one that did not need to be glued to the rim. In 1891 Michelin took out its first patent for a removable pneumatic tyre. We have an extensive sales force supporting the thousands of tyre distributors in the UK and the Republic of Ireland from car tyre to truck, agricultural as well as specialist industrial and earthmover, this is backed by a comprehensive sales and technical support. When the Michelin Tyre Company Ltd was incorporated in 1905 it started a journey that has lasted over one hundred years. A journey that has had many twists and turns, and more than a few surprises. To discover how Michelin has shaped the history of motoring and transport in the UK since 1905 click here. As with all makes of tyre, the type of tyre you need depends on the vehicle you are driving, your main driving surfaces and the type of climate you are driving in. Speak to one of our tyre experts at your local Bush tyres branch for advice on the best options for your vehicle. That depends on the tyres you have and your driving style. However, Michelin have often shown in tests to be longer wearing than other manufacturers. Chat to our tyre experts at your local Bush Tyre branch for more details. 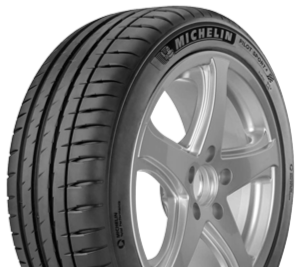 Michelin manufacture a wide range of tyres including some that are designed to reduce vibrations and road noise. Speak to our tyre experts for details on tyres that provide a quiet ride. There are a number of tyres by Michelin that offer rim protection. Please contact your local Bush tyres branch for details of the current rim protection tyre stock and latest prices. Michelin manufacturer 4x4 tyres for both on-road and off-road performance requirements. They produce tyres for summer use and winter use, plus specifications that are better for tarmac driving or off road. Once you decide on these aspects, come and chat to our tyre experts and they will advise you on the best tyre for your needs. Michelin headquarters are based in France, but they have 68 production facilities across 17 countries. Michelin tyres do not come with white writing as standard but there are kits you can buy that allow you to add the white lettering. These are mainly used by racing teams and on show cars.